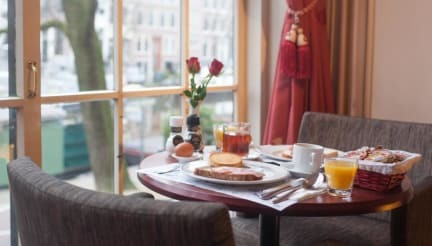 ITC Hotel Amsterdam i Amsterdam, Nederländerna : Boka nu! This beautiful hotel, housed in an authentic monumental Canal House. Behind the facade of this fine classified residential monument, situated on Prinsengracht and overlooking a quiet stretch of this Amsterdam's grandest canal, you'll find yourself in the heart of ancient Amsterdam the moment you walk out of the door. 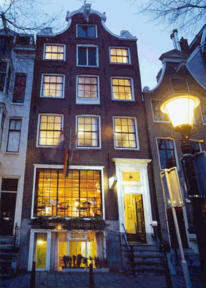 We offer charming accommodations with canal view and have twenty rooms.